Italy, while rich in soils and some mineral substances such as marble, is poor in native precious metals. Little gold or silver are native to the region. From the earliest days of civilization, man has sought items to serve as stores of value, and gold and silver caught man's eye and desire. They became universally acceptable as a medium of value transfer. This was due to two primary attributes, scarcity and ornamental value. Early Italian peoples had little of these substances to use in trade or barter. This limited international commerce, and trade in the early years was primarily domestic and consisted of item for item barter. Gold and silver were mainly obtained through what export of goods brought in return. Italy did, however, have a valuable native metal that was very desirable for utilitarian purposes. 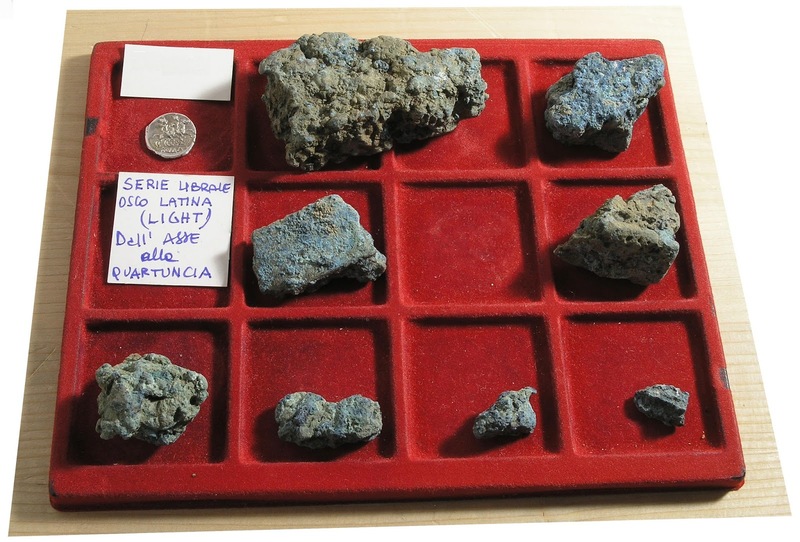 Italy possessed native copper in quantity. This metal, while more common than silver and gold, could still be used for ornamentation, and better yet, formed into tools. Axes, hammers, arrows and spear points made of copper and its alloys are known in Italy from before 2000 B.C.. Copper, when alloyed with tin becomes bronze, which is much harder and more durable than pure copper. 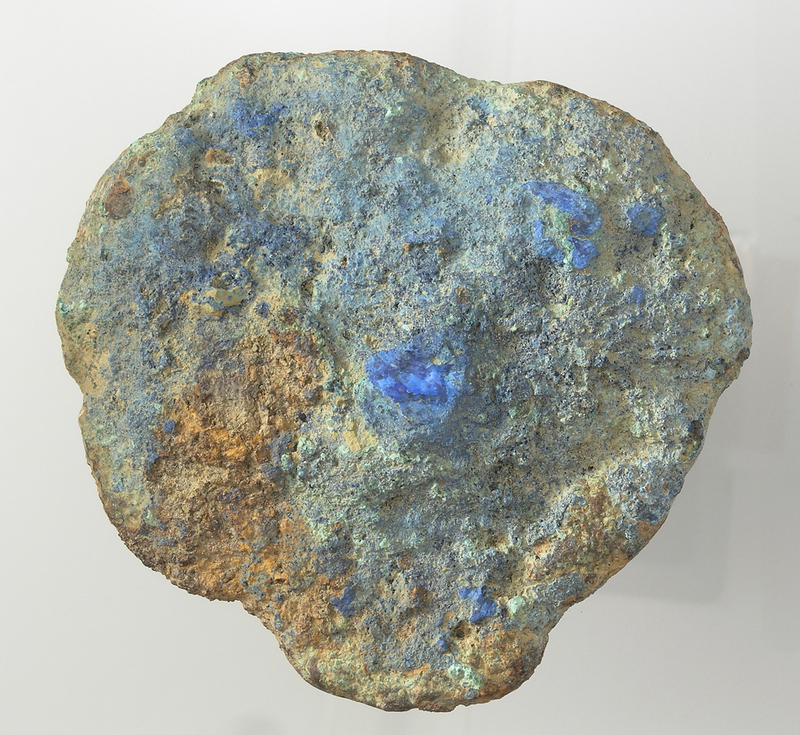 Copper was therefore highly desirable as a store of value and medium of exchange. 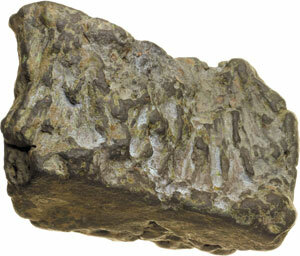 Aes Rude fragment with iron inclusion. Copper is found in native states in different forms. 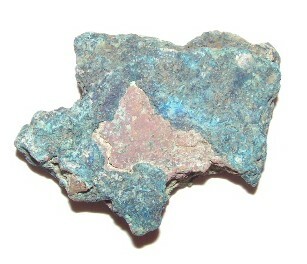 Native copper, the metal itself, is found in nodules, from small to gigantic. 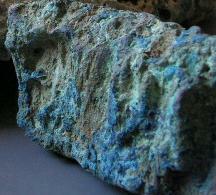 Copper in mineral form can be recovered by heating copper bearing minerals, such as malachite and azurite. 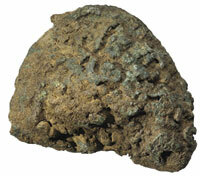 Early man found that by putting these rocks into fire, copper droplets would form. These could then be collected and melted together to form masses of metal. Somewhere in the period around 1000 B.C. copper became the acceptable barter medium of choice for the Italian peninsula. It was exchanged in the form of ingots, partial ingots, ornamented bars and their fragments, and cast sculptural items. Today, these items are referred to as aes formatum, aes signatum, aes rude, aes infectum and rudera. (The proper pronunciation of the word aes is "ice".) These come in many forms, some of which shall be discussed here. Complete Aes Formatum "Bread", 1/2 talent in weight. The earliest form of ingots (aes formatum) were simply made, without true molds. Depressions were scooped out of clay ground, and liquid copper / bronze was poured directly into the depressions. These depressions were usually round in shape and either convex or in the form of a truncated cone. The resulting cast piece would resemble a loaf of bread. Today, that is how they are referred to, along with smaller ones being called pancakes and similar names. 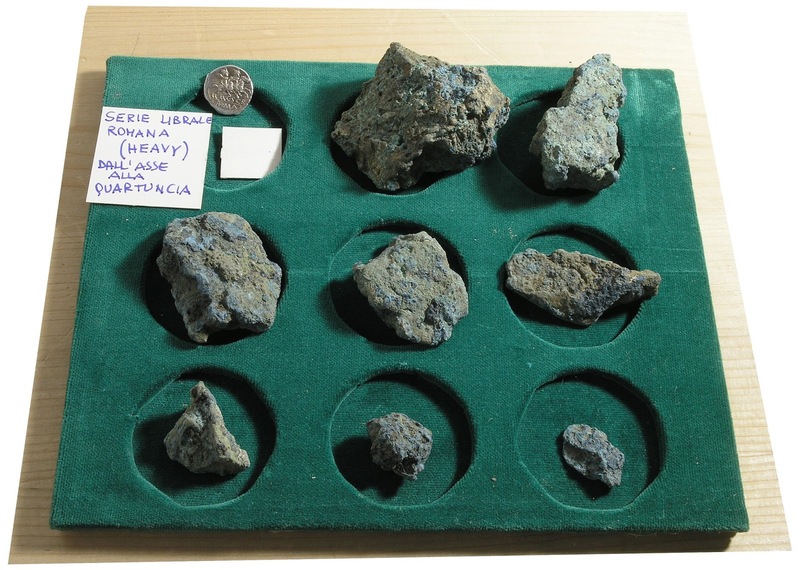 Modern metallurgical testing has shown that the metal used in these pieces, and the resulting aes rudes broken from them, are high in both iron and lead content. It is unrefined metal that would require further refining to render the material useful for making durable castings. This composition was used deliberately to create zones of weakness in the casting, allowing them to be broken into pieces. These breads could be made by anyone capable of obtaining copper bearing rock and heating it in a fire. The resulting metal was truly a "raw" material, requiring further processing to render quality products. These pieces could be exchanged for goods and services as a bullion form, which with a little effort could be transformed into useful items. Cerebraform bread, surface undulations caused by steam formed in mold. The casting of unrefined metal into earthen voids also served another useful purpose. When cast and cooled in this fashion, the metal cools and crystallizes in a fashion that allows it to be broken apart and subdivided into useful sized pieces (aes rude). In the casting process, the hot bronze hitting the moist clay caused steam formation that acted upon the surface of the metal, forming porous areas of weakness. Often the surfaces of the metal became striated with channels formed by the steam, giving the piece a cerebraform appearance similar to a brain. Porous areas also form when copper alloys are heated to past melting. A phenomenon known as gassification occurs. Gas bubbles come out of solution and form in clusters in the metal, forming areas of weakness. Bronze founders through the years have found that by introducing certain materials, such as fluxes and other substances into the molten metal, that the gas bubbles will bind to the foreign material and come out of solution, remaining in the slag that forms on the metal surface. After the metal is cast and in the cooling process, the metal begins to crystallize, and with the composition of the bronze used in this case, columnar / lamellar patterns develop, giving zones of both strength and weakness in the mass. This also allows the breaking and subdividing of the ingot / bread. These ingots broke apart quite readily, usually without cutting or chiseling. Very few tooling marks will be found on aes rudes made in this fashion, and they have sharp, crisp fractured edges. Internal, vertical columnar structure formed during cooling.